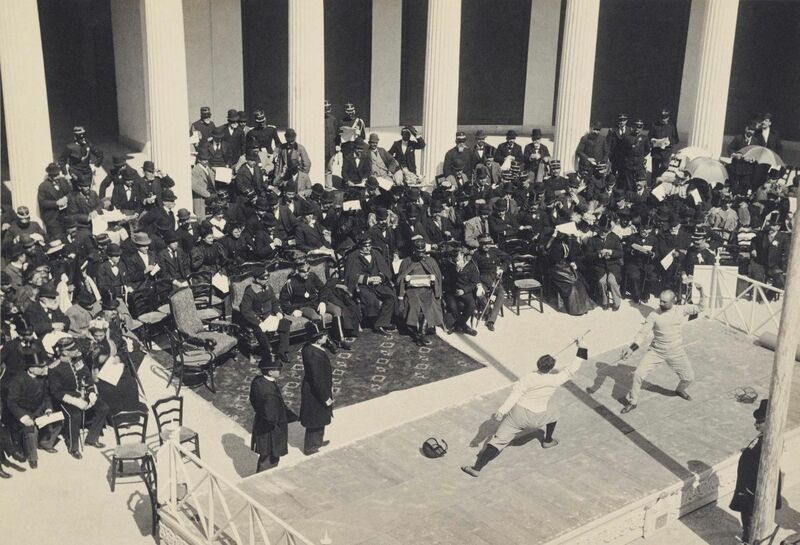 Olympic fencing at the Zappeion. American athletes of Princeton University photographed in front of the stadium’s crypt. 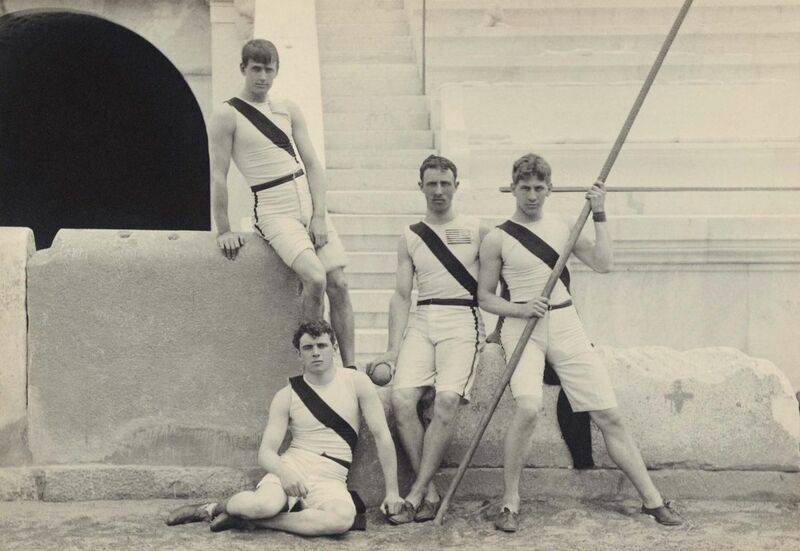 Commemorating 120 years since the first Modern Olympic Games, the Benaki Museum, the luxury Costa Navarino resort and Athens International Airport have teamed up to present the “Olympic Games 1896: The Historic Photos of Albert Mayer” photo exhibition. Curated by art specialist Eva Nathena in collaboration with video artist Angelos Papadopoulos to the music of George Poulios, the digitally reworked show will run at Athens Airport from May 16 to September 16, and at the Costa Navarino resort in Messinia, between April 27 and November 30. Herman Weingartner. He came in third in the rings at the 1896 Summer Olympics. 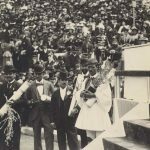 The awarding of Spiridon "Spyros" Louis, the first modern-day Olympic Marathon winner at the 1896 Summer Olympics. Panagiotis Paraskevopoulos in the disc throwing position. 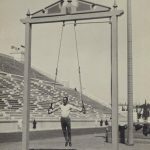 The exhibit aims to convey the thrilling atmosphere of the 1896 Games held in Athens in 1896 by bringing to life the works of the German photographer through the addition of sound and movement. 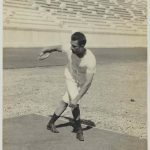 “The volume of photos of the 1st Olympic Games featuring the historical photographs of Albert Mayer is one of the jewels of the Benaki Museum archives and a precious chronicle. The revival of the photographic experience through an innovative video-art approach is particularly relevant at a time when we need more than ever to remember the Olympic ideals,” said Benaki Museum director, Olivier Descotes.